Large beads on a lace, kept in a wooden box. Small beads on a lace, kept in a wooden box. Threading board, kept on a tray. Lacing shapes, stored in a wooden box. 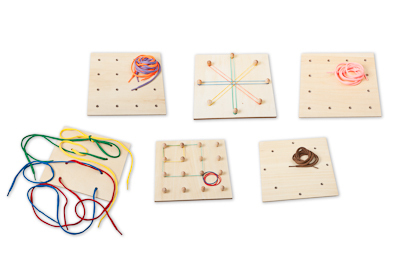 Threading and pinboards with laces and elastic bands. A wooden board with pegs, laces and shapes.